The primary religion within Cels is the belief in the ancestral gods (the Tribe of Danu) and the world Goddess, Danu (known as Don in Kernow). The symbol of Danu is three women a trinity representing the Maid (young life), the mother (making life) and the crone (ending life). 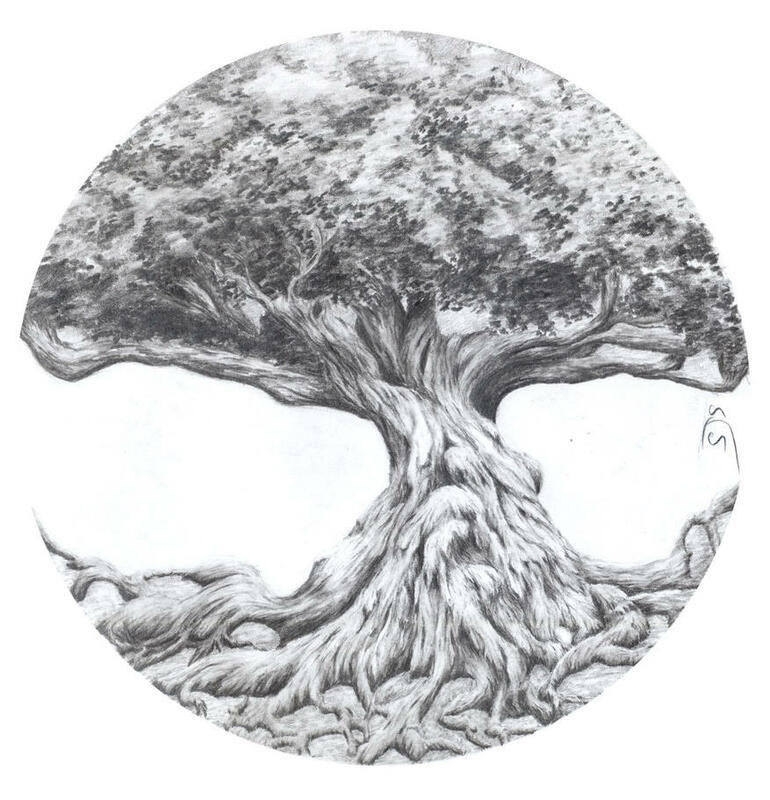 The other emblem for the Danuist faith is the World Tree, Crann Beatha, a mark often found in the sacred realms of the faith known as nemed. Danuism as a religion is overseen by the Druids of Danu, the priests and priestesses which are often called Draoi in Sidhe society. Each local township or homestead (large independent homes to several families related to each other) usually has a oaken grove set aside for Danuist practices. Within the groves (some are simple built into parks in the cities of the Sidhe) there is a ring of stones covered in swirling patterns. These stones mark the nemed, the holy place of danu where a central stone usually carved with the image of the three women and the tree is also placed. The Groves and the Nemed are usually maintained and kept by the local Druids, with each Nemed being overseen by the High Druid of the town or settlement. 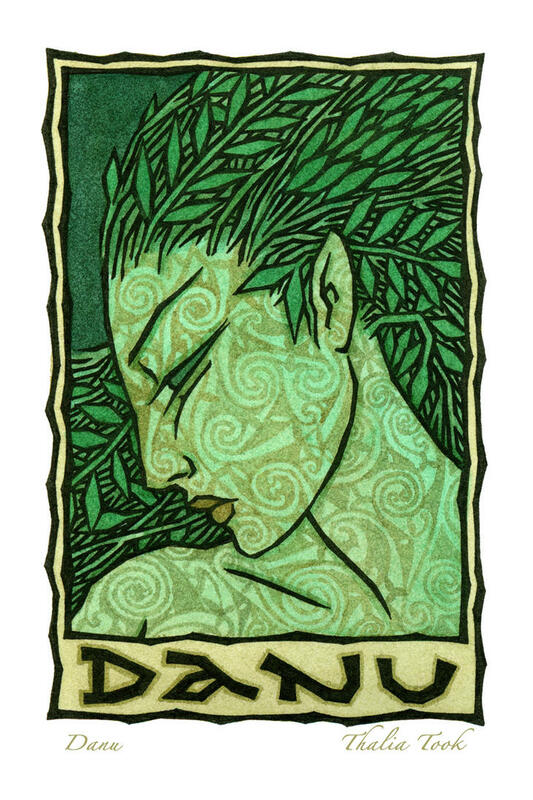 Danuist druids can be marked by a triskelion (a three-way mark with a swirling spiral from the center) usually marked on the shoulder. At the top of the Danuist faith is the ArchDruid, the overseer of all Danuist beliefs and politics. The ArchDruid is the one who usually blesses the new Clann Chieftains and presides over the rituals done for the High Royal nemed in set within the chambers of the Clann Gathering. The Druids make up the ruling priesthood of Danu, and stand as the guardians of Sidhe lore and history. It was the Druids who stood alongside the greatest heroes in Sidhe history and it was they who prepared Nuada for the High Kingship. Throughout the history of the Sidhe the Druids represent the greatest bards, teachers, and diviners of the lands of Cels. In the beginning they were simple tribal shamans who kept he lore given to them when the Sidhe were cast out of the great four cities under Crann Beatha. Once the Tuatha De Danann fled into the lands of Prydain the Druids were the ones who tried to reunited the tribes as they bickered over the rule of Prince Nuada. In the modern times of Cels, the Druids have not lost their skills, but their prestige has grown. Once where they were tribal advisors and wisemen they are now political powers unto themselves. Within the local villages of Cels, a Druid is a powerful force of morals, and can often influence local politics. The Druids also serve as advisers to local rulers and often oversee various rituals in the name of Danu. Druids are also skilled in specific forms of Sidhe Magic, dispellling ill effects, and dealing with dangerous astral entities. At the top of the Druid Priesthood is the Archdruid who is elected by the six Cardinal Druids of the Clann counties. This body of ruling Druids is known as the Cardinal Elect and gathers whenever the ArchDruid dies to chose the next. Below the Cardinal Druids ar ethe local county druids and then those of local communities. Druids are separated into the priestly Draoi and the teacher Ollamh. Those who serve in the direct priesthood are the Draoi and act as the voices of Danu and the immortal ancestors in all things. The Ollamhs act as teachers of the ancient ways, of magic, and of the laws of the Sidhe. Druid rituals are strange in that they do not fall within the basic rules and concepts of Sidhe Magic. In fact many Druid rituals do not have a directly magical affect to them. This does not mean that Druids lack any magical abilities unique to them only that not all of it is supernatural in origin. The most basic form of ritual is the diving ritual. These rituals are conducted using carefully carved bits of bone which have been charred in an oaken fire. They are marked with words in Ogham (the Sidhe writing system) with words such as “fortune” or “ill=fortune” and are then cast. The Druid in question then reads the words revealed faced up in the casting and gives a prediction. Handfasting – A Druid stands before a pair wishing to be married in Posadh and calls out to the will of Danu. Historically if a totem animal from the Clann or Sept of either appears it is considered a blessing from Danu herself. If the oak of the grove shudders then the Druid ends the handfasting and declares it a bad omen. Omens – Druids are trained in observing actions of the land and animals. If the land seems eerily filled with drought, or animals act queer they are often charged with seeking omens. This is usually when a Druid is asked for advice on whether Danu is pleased with a standing ruler in a given area. Visions – Druids will drink from a bull meat broth or broth mixed with certain herbs. This puts them in a dream state from which they will see a vision. After they awake they will then try to discern the meaning of the vision and predict what is to come, or what is to be done. Daimon – Druids are skilled in the removing of astral entities known as Daimon who result from cracks of Fate themselves. These strange invisible monstrosities have the ability to possess and kill people. Druids use sage and a mixture of various draughts to dispel them. The Dead – Druids are also skilled in dealing with undying creatures such as the Dullahan and the Sluagh. Dead Bodies – Druids are the ones who prepare dead bodies and place them upon pyres for burning. If not properly cared for they might become Sluagh. Naming and Age Rituals – When a child is born they brought to a Druid and blessed to affirm their soul in the eyes of Danu. Every hundred years a Sidhe goes through a ritual cleansing in holy waters soaked with oak leaves to affirm their belief in the Goddess (and the Ancestors). The simple oath is spoken only by the druid and then both individuals (not including the druid) are splashed with blessed water which has been left overnight in the ring of the nemed they are married within. Simple Handfasting – The most common form and the one which allows flexible time and evolution of the marriage. Fair Match – A mass or quick ceremony done in mass where the couple or couples do not see each other. Lasts for a year and a day allowing for consideration of future Handfasting. Blood Match – An agreed upon set alotted Handfasting to ensure the birth of children of specific pedigree with their status of clann being part of the agreement. Arranged Match – An arranged marriage between noble families to solidify power and form alliances. At the center of the beliefs of Danuism is the cosmology dealing with the world tree. At the center of cosmology of Danuism is the the belief that Crann Beatha connects to many worlds through its branches. Each of these worlds plays a part in Sidhe mythology and their connections to other races. Those who are of good standing and follow the tenets of the faith go to the lands of the Young, or Tir na nOg. The lands of the young are filled with the “good” Sidhe who did well in the eyes of Danu. Those who do not do well may become undead, or those who die painfully may become spirits who assail the living. Those that are explicitly horrible and sinful are cast into the mist filled horror of Mag Mell, a land of ever turning acid and pain. Throughout the years of the Great Clann War religious upheaval was typical as the Clanns fought over not only the high throne, but the soul of their religion. This ambivalant period led to the rise and fall of many ArchDruids with conflicting ideals for the future of the faith. Over time a schism occurred where the Eastern lands of Eire, and Kernow broke away from the greater congregation of the faith. They named their own ArchDruid above the High Druids of the faith and founded a new denomination which they called the Hawthorn Circle. This new sect professed a new ideology that the Aes Dana or the ancestors must be worshipped alongside that of Danu herself. The Old Guard as the conservative remnants call themselves found this notion heretical and promptly excommunicated the Hawthorn Circle druids and their adherents. Eventually an agreement was reached and the two sects were able to coexist with each other. With one ArchDruid reigning over both faiths. However, this still causes points of contention as the two sects wish to enforce their own ideals over the rest of Cels and cement their form of worship as the prime above the other. The Hawthorn Circle was founded during a trying time in the history of the High Kingdom. As the world around them began to fall apart thanks to the ever expanding blood feuds of the war, a new belief became more prevalent among the nemed of the various Danuist faithful. 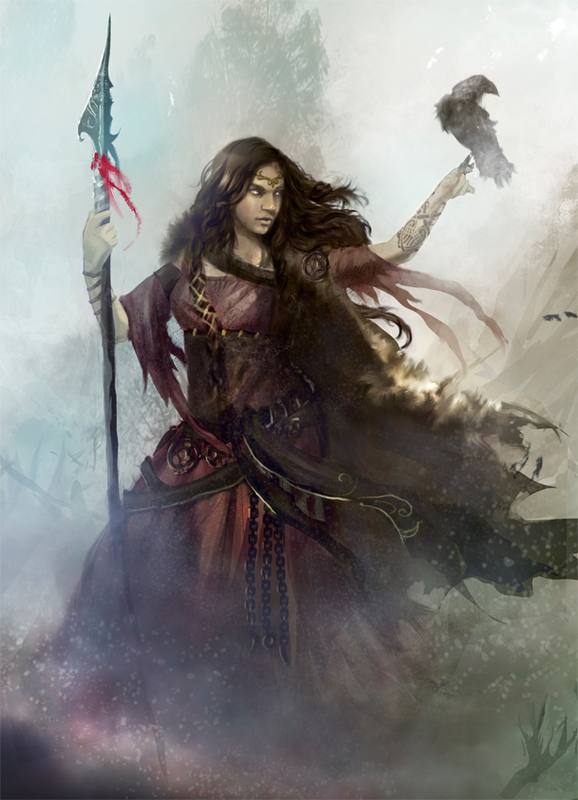 For many years the Clanns of Cels had paid homages to the bloody and history of their ancestors, the Aes Dana. Centuries had these stories kept the young of the Clann filled with awe in the blood and ability that flowed through their veins. Finally, it was one nemed of Druids that took up these stories and in a time of heretical belief and worry began to say what many had already thought. Danu had made Altear, but it was her divine children who had tamed it, and for this they should be revered. From then on the Hawthorn Circle split away from the rest of the Danuist beliefs and a new faith was born from the old. The Aes Dana along with Danu are holy and divine. Danu created the world and her children tamed it. The Aes Dana gift all of their children and should be revered by their respective bloodlines. All great Sidhe join the Aes Dana in the boughs of the World Tree when they die. Formed from the conservative nemed that remained after the Eastern portions of the faith broke away to create the Hawthorn Circle. The Old Guard considers itself the true congregation of the Danuist faith and in many regards the only one. To them the Circle is nothing more than a band of heretical upstarts. The Old Guard are not only conservative in their beliefs, but also in many ways a bit revisionist. To them the Clann War was not caused by the hubris of the Clann’s themselves, but the lack of faith growing among the Sidhe after the death of High King Dagda son of Nuada. This lack of faith claim the Old Guard led to a growing sense of division and “un-Sidhe” like reform being pushed by members of the nobility. To the Guard there is only one truly divine sovereign of the lands of Altear and through her the High Kings of Cels are given divine right of rule. Danu is the creator of all and the supreme divine sovereign of Altear. All magic comes from the World Tree through Danu. When Sidhe pass on they dwell in the shade of the Tree for all eternity. The Fomori steal the souls of the unclean and drag them down into the dark mist filled afterlife for the sinful.